China is to reform the dual track urban pension system. Currently corporate employees contribute 8% of their salary to the system and government employees contribute none of their salary. The system will now be paid in to by 8m civil servant and 32m public institution employees who will also now pay in 8% of their salaries and the employers will contribute 20%. Ageing populations set to impact China drastically by 2050 with the number of people aged 65 and over will rising by almost 200m, form 132m in 2015 to 331m in 2015. The new contributions will help to curb the potential $6.3tn deficit expected in 2050. However the government is expected to face pressure to raise salaries tom compensate for the required contributions. The state council announced the changes 14th January 2015. China's pension system has seen far-reaching structural reforms in recent years. At least in urban areas, the system currently in place has three pillars. The public pillar is divided between a pay-as-you-go scheme and funded individual accounts. Voluntary occupational pensions in the form of Enterprise Annuities form the second pillar, and the third pillar consists of voluntary private savings. The economic reforms in China that started in the late 1970s had a strong impact on the system that existed at the time, in which state-owned enterprises directly provided pensions to their employees, supported by fiscal subsidies. The pension system was part of the "iron rice bowl", an all-encompassing social security system for employees of state-owned enterprises. In 1997, the Chinese government decided to introduce the basic parameters of a multi-pillar system. Furthermore, the National Social Security Fund (NSSF) was established in 2000 and is meant to cushion the financial impact of demographic developments on the pension system. In 2004, the Enterprise Annuity system was created, which is a voluntary occupational pension system. Recent reforms and reform debates included the decision to fill up the funded accounts in the first pillar, which were often emptied in favour of the pay-as-you-go pillar. Reforms also include outsourcing occupational funds created before the Enterprise Annuities to private companies, extending pension system coverage and initiating several pilot projects. China is not exempt from negative demographic developments. While the old-age dependency ratio is currently 11, it will reach 39 by 2050. According to the IMF, the working population as a proportion of the total population will peak in 2010 and fall steadily afterwards. The median age is forecasted to rise from 32.5 years in 2005 to 48 years in 2050. Clearly, China's population is ageing quickly, which will have a strong impact within one generation. Pension assets in funded individual accounts currently amount to EUR 53.4 billion. For this part of the pension system, we expect that the annual growth rate will lie between 23.4% and 25.6%. The Enterprise Annuity system, the assets of which currently stand at EUR 8.9 billion, is expected to grow at a rate of 21.2% p.a. until 2015. The public pension system in China comprises an urban and a rural system. The latter was specifically designed for rural areas and differs considerably from the system in place in urban areas. Pension participation is voluntary and operational matters are left to local governments. Benefits are far less generous compared with the urban pension system, and participation in the rural system is very limited. According to 2003 estimates, 54 million people participated, which accounts for 9% of the total rural population. In 2006, a pilot project was launched in rural Beijing to include more people. It aims to include greater Beijing's rural population of over three million people in the formal pension system. Following pilot projects in Shanghai and Guangzhou, the urban pension system was officially launched in 1997 with the announcement of a revised pension policy. While pensions were provided by state-owned enterprises in the previous system, a social insurance system took over. The reform started at the provincial level with a view to expanding it to the national level. This public pension system consists of pillar 1A, a pay-as-you-go portion, and pillar 1B, a funded portion consisting of individual accounts. Pillar 1A is financed exclusively by employer contributions of 20% of wages, whereas pillar 1B is financed by employee contributions of 8%. The pay-as-you-go portion is intended to provide a replacement rate of 35% of the employee's final salary, and the funded portion aims to replace 24%. Contribution rates were changed in 2006. Until then, pillar 1A was financed by a 17% employer contribution. Pillar 1B was financed by employee contributions amounting to 3% of their salaries, and by employers, who made an 8% contribution. The urban pension system has a coverage rate of 50%. Although it is fully funded in principle, pillar 1B has suffered because local governments took capital from these accounts to cover pension deficits in the pay-as-you-go pillar and to pay out benefits. This led to the problem of "empty accounts". To remedy the situation, the Chinese authorities have taken steps to "refill" pillar 1B through fiscal transfers from the local and central government. This measure is part of a pilot pension reform project in the Liaoning province that started in 2001. The project aims to? fill empty accounts with funds equivalent to 5% of salaries. 3.75% is financed by the central government, and the remaining 1.25% is financed by the local government. Once the accounts have been filled, the balance increases by 1% of salaries each year until 8% is reached. After the pilot reform led to positive results, the reform was extended to the provinces of Heilongjiang and Jilin in 2004, and to another eight provinces in 2006. Eventually, the reforms will likely be extended across the country. Future reforms will likely focus on establishing the pension system on a national level. Today, pension pooling operates at the provincial, county or municipal level. Administration is decentralized, meaning that local discretion is considerable. Rural migrant workers in urban areas, of which there are approximately 150 million, are not generally covered by the urban pension system. Participation is allowed, but not compulsory. Both employers and rural migrant workers are reluctant to join, because joining entails higher labour costs for employers and migrant workers are more interested in immediate wages than in pensions. What's more, their high mobility across regions impedes participation. In order to encourage employers and employees to participate, local governments have started experimenting in their regions. For example, in some cities the contribution rate to pillars 1A and 1B has been reduced from 28% to 14%, with sole contribution from employers. In others, contribution rates are 8% for employers and 5% for migrant workers. Strictly speaking, the National Social Security Fund (NSSF) is not part of the pension system. However, it is important for the pension system, as its function is to build up capital for public pension deficits resulting from upcoming demographic development. The NSSF was founded in 2000 and is currently in the accumulation phase. It is managed and controlled by the National Council of the Social Security Fund, which was established at the same time. It is unclear when payments will start. Some sources think that decumulation will begin when the fund reaches assets of at least EUR 97.2 billion (RMB 1 trillion). Others suggest that decumulation will commence from 2030 onwards, when the demographic situation will likely begin to deteriorate. The bulk of the NSSF's assets comes from fiscal transfers (65% in 2005), followed by the proceeds of privatisation (16.2%), investment income (10.5%) and lottery income (8.3%). In 2006, the NSSF's total assets amounted to EUR 27.5 billion (RMB 283 billion). Asset allocation was very conservative in the initial period of operation, but investment in deposits has decreased gradually since then. Meanwhile, the share of outsourced assets has increased steadily, from 24.1% in 2003 to 37.3% in 2006. The NSSF's investment policy is based on the priorities of asset security and liquidity. As a result, regulations determine that deposits and government bonds combined must amount to at least 50% of assets. At least 10% must be invested in deposits alone. The maximum limit for corporate bonds is 10%, and the combined limit for shares and mutual funds is 40%. In 2003, the NSSF began outsourcing some of its assets. As of 2005, five national and/or joint ventures were selected to manage NSSF assets. In 2006, the NSSF allotted five investment mandates to foreign asset managers to manage international investments of EUR 758 million. In the future, the central government's contribution to "refill" pillar 1B will be managed by the NSSF. The initial amount is EUR 972.1 million (RMB 10 billion). Enterprise Annuities were established in 2004. Besides the newly established Enterprise Annuity funds, there are also legacy funds, company funds that were established before the Enterprise Annuity legislation was introduced. These legacy funds have assets of EUR 7.3 billion (RMB 75 billion) under management. They are currently managed by local social security agencies, but the government intends to hand the management over to private companies. To make this process easier, the Ministry of Labour and Social Security introduced a temporary guideline in April 2007 on how legacy funds can be transferred to the private sector. Two of the largest local administration centres were reformed; one was turned into an independent insurance company, while the occupational pension business of the second centre was handed over to two Chinese financial institutions. Group pension insurance contracts are another means with which employers can provide their employees with old-age pension funds. Enterprise Annuities are voluntary occupational plans that are fully-funded defined contribution accounts. They are established as a trust? that can take the form of either an internal or external trustee model. The internal trustee, which is known as the pension council in China, is similar to the trust system in the UK. Financial institutions serve as external trustee, which is referred to as the professional trustee in China. In the case of the pension council model, at least one-third of trustee members should be employee representatives. There is no such requirement for the professional trustee model. Employer contributions are limited to a twelfth of employee salaries, and the combined employer/employee contribution should not exceed a sixth of total wages. To provide Enterprise Annuities to their employees, enterprises must have participated in the urban pension system, be financially sound and have collective bargaining mechanisms in place. Until now, Enterprise Annuity schemes have primarily been adopted by large, profitable, mostly state-owned enterprises. Total assets amount to EUR 8.9 billion (RMB 91 billion). However, 82% are held in legacy funds. As of mid-2006, 263 enterprises in China had introduced new Enterprise Annuity schemes that covered 940,000 participants. Only licensed financial institutions are allowed to manage and administer EA assets. By the end of 2005, 37 financial institutions had been granted a license after they fulfilled several preconditions. Among these 37 institutions, there were 5 trustees, 11 account administrators, 6 custodian banks and 15 asset managers. 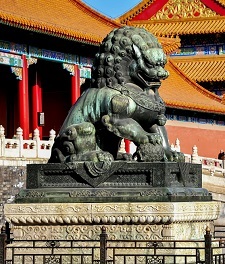 The Chinese authorities are expected to grant more licences in late 2007. Regulations stipulate that custodians must be independent from other service providers. In the internal trustee model, the trustee should outsource administration, asset management and custody services to other institutions that are licensed to operate these businesses. In the external trustee model, the trustee can also provide administrative and asset management services, but not custody. In some provinces, local governments have put regulations in place that require asset managers to provide a certain level of returns. If enterprises provide Enterprise Annuity plans, there is a tax exemption for employers of 4% of wages. There is no tax benefit for employee contributions. However, tax benefits differ in practice from province to province. For example, in mid-2006, it was 5% in Anhui and 12.5% in Hubei. More tax relief will likely be granted to both employers and employees in the future, and a harmonised tax system is expected to be implemented. Investment income and pension payments are taxed according to standard tax rates, so Enterprise Annuities are subject to an ETT system. China's pension reforms are ambitious, but necessary given that the preceding system was completely different, but inadequate for the new economic environment. Given the size of the country and the regional differences within it, implementing the new system is a considerable challenge. This may be the main reason why the government has focused on developing a formal pension system in urban areas. With its very low coverage, the rural pension system has not seen far-reaching reforms. While the system for the urban areas has been legislated, implementation is ongoing. Reforms tackled two of the main issues, namely the refilling of empty accounts in pillar 1B and the introduction of occupational pensions through the Enterprise Annuity system. It should be noted that even between urban areas, there are considerable differences that hinder the implementation of Enterprise Annuities. Regional disparities in tax rules for Enterprise Annuities and the uncertainty regarding their future development are among the biggest obstacles to the system's acceptance and diffusion. At present, large enterprises are the main participants in the system. At this point, small- und medium-sized enterprises seem to be reserved. To realize the goals of the reforms, the basis of the new system needs to be developed, and much of its success will depend on future regulations.